The City of Brenham retained Counsilman Hunsaker in association with Ben Boettcher Architects to evaluate their existing outdoor facility and develop options for the future. 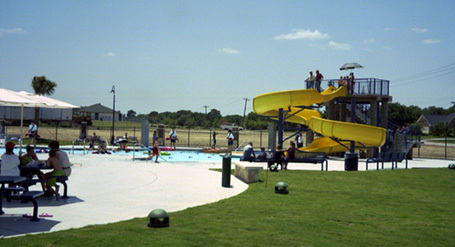 Five options were developed including the repair of the existing facility and the development of new aquatic spaces. It was ultimately decided to develop a new aquatic center located adjacent to the high school. This new facility features an indoor 6-lane, 25-yard competition pool with deck-level seating. In the adjacent room is a therapy pool with ramp entry designed specifically for the senior community. The outdoor facility features a 6,000-square-foot leisure pool with zero-beach entry, play dish and participatory water play features. Some of these amenities include a lily pad walk and waterslide. Ample deck seating is provided.